Trimming your 10K times requires a smart, systematic approach to training. All of the training sessions below emphasise intensity. Remember to limit each workout’s quantity of fast running to no more than 10 per cent of your weekly mileage. Use your favourite sessions from the ones listed below twice a week for a minimum of six weeks, recover properly between workouts, and you will start running your 10K’s faster. A 5K race at your goal 10K pace. Benefit: Raises VO2max and economy, gives you confidence that you can set a new PB. 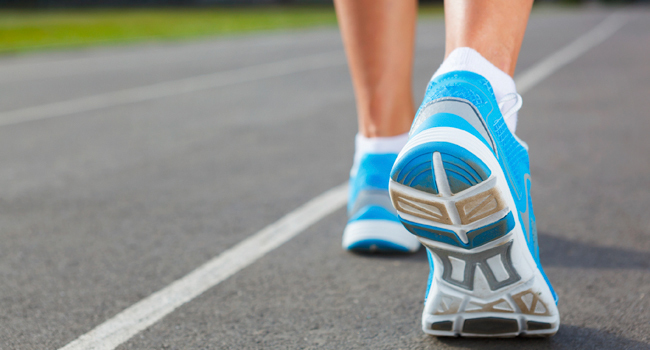 Warm up by jogging easily for 10 minutes, and then run 1200-metre work intervals at your current 5-K race pace. Jog easily during recovery periods, and let each recovery last about a minute less than the amount of time required to complete the 1200-metre work interval. As with all interval sessions, don’t let the total work-interval distance add up to more than 10 per cent of your weekly mileage (Example: You run 30 miles per week. Since 10% X 30 = 3 miles, or 4800 metres, you can ramble through four 1200-metre intervals per workout). Mark out a 10k route over terrain you’d like to run on, or simply use the 10k course used for a local race. Warm up by jogging for 10 minutes, and then sizzle through the full 10k route, alternating 2- to 3-minute bouts at what feels like goal 10k pace with 60- to 90-second jog-recoveries. Warm up with 10 minutes of easy running, and then cruise through one mile on the track at a tempo about 10 seconds (per mile) slower than your current-best 10k race speed. Jog for just two minutes, and then scamper through a second mile at 10k pace. Jog easily for two more minutes, and then blast through a final mile about 10 seconds faster than 10k velocity. Warm down with a one-mile jog, and it’s over! Jog easily for 15 minutes, and then run 800 metres at your current 10k race pace. Jog lightly for two minutes, and then scurry through 400 metres at 5k race speed. Amble easily for 60 seconds, and then dash through 200 metres at current one-mile race tempo. Rest for 30 seconds, and then launch yourself into 1000 metres at 10k pace. Jog easily for four minutes, and then repeat this 800-400-200-1000 pattern. A 30-mile per week runner can complete two of these combos per workout; at 45 weekly miles, three 800-400-200-1000 combinations are possible. Warm up, and then run 10-minute intervals at your current 10k pace, recovering for five minutes between intervals. Warm up, and then run 800-metre intervals at current 5k race pace, with recoveries lasting no longer than each work interval. Warm up, and then run 400s at a pace about four seconds per 400 faster than current 5k speed. Recover until you feel comfortable enough to do another 400 with good form. Find a forest path or a place where you really enjoy running. After warming up, run at a tough intensity for about 30 minutes or so, alternating spontaneous bursts at about 10k race pace with shorter periods of easy cruising when you feel tired. Enjoy the workout, and focus on relaxing and running smoothly.